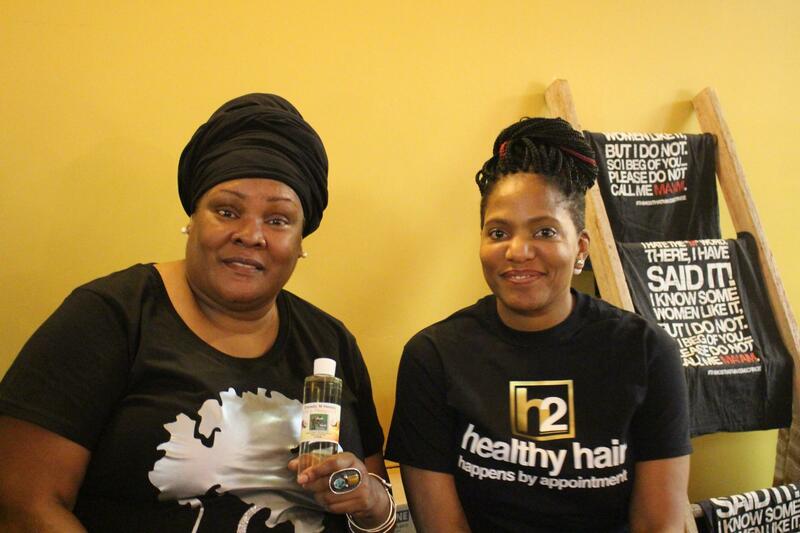 Malaika Cooper, left, and Monica Green own salons that specialize in natural hair care. Malaika Cooper was just a kid when she stopped using relaxer to straighten her hair and started wearing dreadlocks. The relaxer had lye in it, and could burn. But her family confronted her about not using it. Now Cooper has made a career of locking and naturally styling hair at her salon in Baltimore — and holding expos across the country. At one recent expo in Cleveland, she stood on the small stage and lamented that more than 30 years later, little black girls still use chemical relaxers to straighten their hair and are the only ones who have a kiddie perm marketed just to them. “We start at a young age telling our children that they are not beautiful in their own natural state,” Cooper said. But times are changing. More people are becoming aware of chemicals in products, like parabens associated with hormonal problems and formaldehyde connected with cancer. Nneka Leiba has been leading a survey of ingredients in products at the Environmental Working Group. They focused some of the research on hair products marketed to African-American women. “Less than 25 percent of the products we assessed scored in the green range, meaning low toxicity,” Leiba said. That means 75 percent of hair products for African-American women contained potentially toxic ingredients — compared to 60 percent of products for the entire population. “It was disheartening,” Leiba said. Hair dyes and relaxers had the highest toxicity ratings. The Environmental Working Group now has a searchable database of more than 73,000 specific products, and Leiba said people are using it. It gets more than 1,000 searches an hour. And she thinks that’s why consumers are demanding change. “Hopefully by shining a light on what’s available for specific demographics, companies will step up to the plate and offer more green-rated products,” Leiba said. 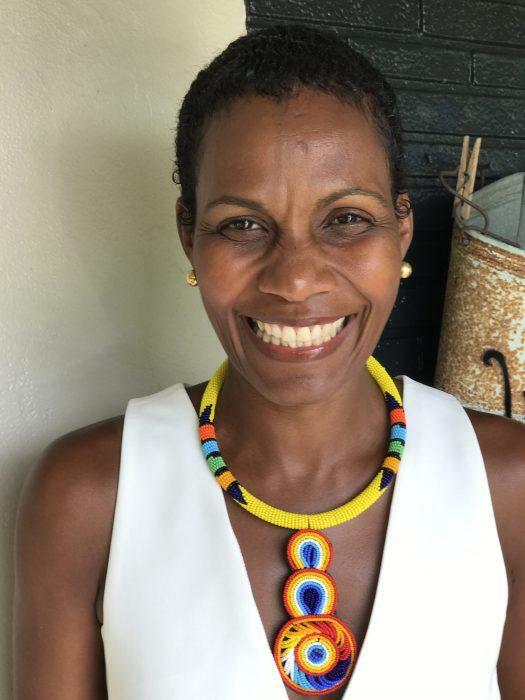 Madame Athena Chang says black women face lifelong discrimination for wearing their natural hair at work or at school. But when black girls don’t use relaxers, some mothers still hear about it. “ ‘Is that your daughter? How come her hair isn’t good like yours?’ These are the things that continue to be passed on. It still happens,” said lifestyle guru Madame Athena Chang. Chang says black women face lifelong discrimination for wearing their natural hair at work or at school. And she says some of it comes from other black women. “When the internalized racism is so deep, people don’t have awareness,” she says. But Chang said the move by many black women to wear natural hair is making a difference in the market. Research firm Mintel found that sales of chemical relaxers plummeted by more than a third between 2012 and 2017, while sales of natural hair styling products jumped. And this isn’t small change. Mintel estimates annual sales of black hair care products at more than $2.5 billion. Chang said that should get companies' attention. The Allegheny Front is a public radio program that covers environmental issues affecting communities.